As the seafood capital of the Philippines, immersing oneself to the bounty of sea blessings is a must-experience in Capiz. From feasting the delicious seafoods such as fish, crabs, shrimps, oysters, and squids; to having a relaxing getaway through the river-tour, and having the experience to harvest fish and crabs by yourself and eventually cook your own catch were truly a moment worth to remember. Such is the case when visiting Roxas City and the Province of Capiz. 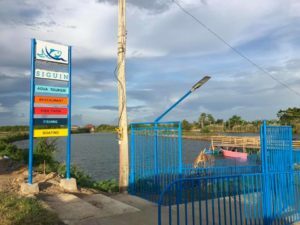 In the heart of Capiz, Espacio Verde Resort would like to introduced our partner, SIGUIN – a harvest place where you can immerse yourself and experience actual harvest of fish and crabs which is opening very soon. For people who are craving for a fun-filled and unforgettable experience, visiting SIGUIN and enjoying the luxury of catching a fish and crab, then cooking it afterwards is such a rewarding adventure. The facilities is simple, but what’s makes SIGUIN an interesting adventure is that there’s always a challenge and beauty in its simplicity. It’ll urge you to take action without being distracted and show you that your goal is to catch fish, and various seafoods. It invites you to immediately immerse in the experience clearly offers you nothing extravagant but an exciting experience. 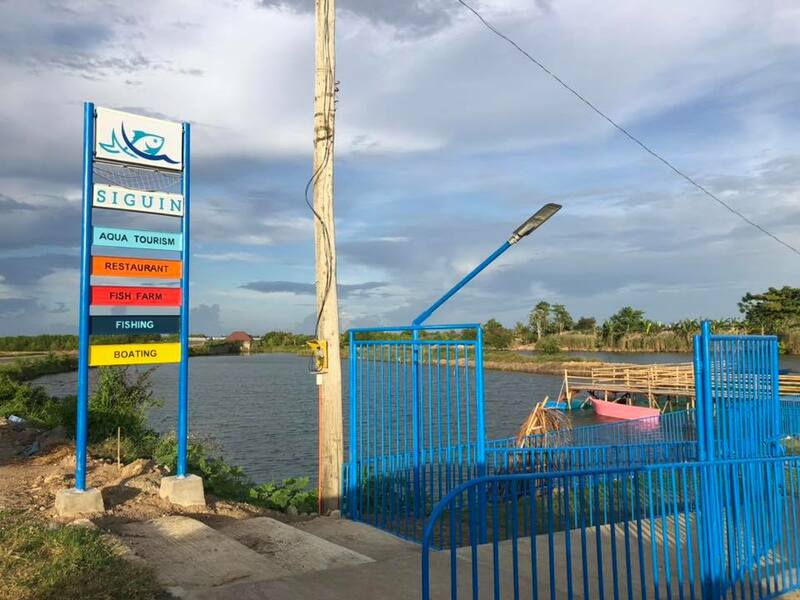 Doing the actual thing, harvesting the fish, crabs and other seafoods at SIGUIN is a real exciting and fun experience to remember. Imagining and experiencing how much effort our fishermen exert in order for us to have the delicious blessings of the sea reach our plate is another way to appreciate our foods and the fishing industry as a whole. The fun isn’t over with just catching fish and crabs, instead rowing a bamboo raft and a small boat is also an indulging experience for those who’s heart is adventurous as their soul. And to wrap the day, the most enticing part of this experience is to enjoy the bounty of the sea. Grilling your catch, and feasting on it is truly an exciting things to do with the family or your group of friends. There are also staffs that could assist you with cleaning the fish and cooking it. They also have various foods in their menu that you could order and enjoy. What could be more refreshing and indulging than witnessing the magnificent sun sets while eating or cooking your freshly catch harvest. At Siguin, the sunset definitely looks bolder and extravagant than usual and it simply makes the experience even more unforgettable. SIGUIN will be opening on February 13, 2019. Love it, hoping to experience this one of a kind Roxas destination – the place, the food, the ambiance etc!